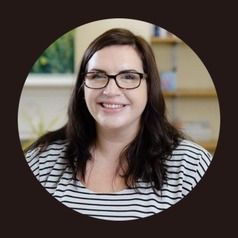 Elizabeth joined the Wilberforce Institute for the Study of Slavery and Emancipation in 2018 as a Lecturer in Contemporary Slavery. Her current research interests include archival research upon child trafficking and the League of Nations, International Law, the Rights of Children and research methodologies. Reading an undergraduate degree in Law with American Studies and an MA in Human Rights, Globalisation and Justice at Keele University. Initiated through the international exchange program with the TATA Institute of Social Sciences (TISS) Mumbai her MA dissertation evaluated the commercial sexual exploitation of children in India and lay the foundations for her doctoral research. Elizabeth was awarded her doctorate by Leicester De Montfort Law School in 2018 entitled ‘The Trafficking of Children; International Law, Modern Slavery and the New Abolitionists’. Elizabeth teaches upon undergraduate and postgraduate Law and Criminology programs, including Policing and Criminal Investigation and International Child Law.